What are countable nouns? How many types of nouns are there on the basis of number? 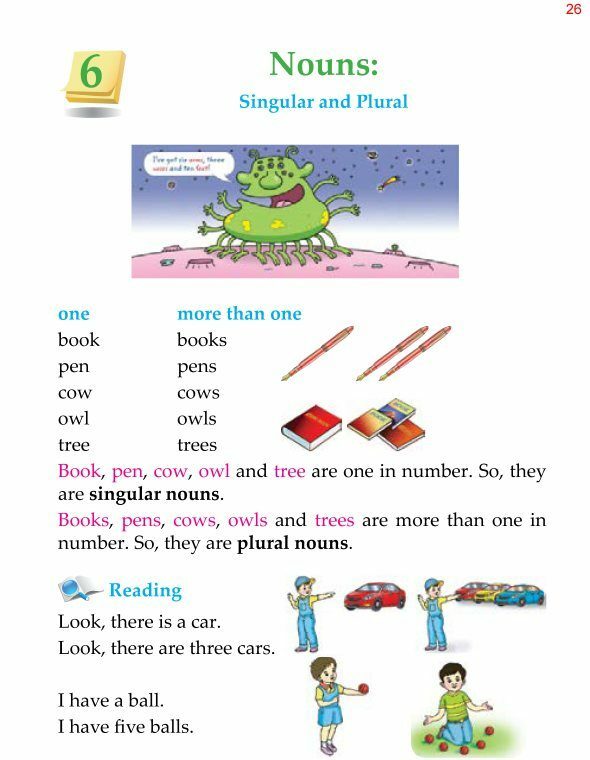 What are singular nouns? 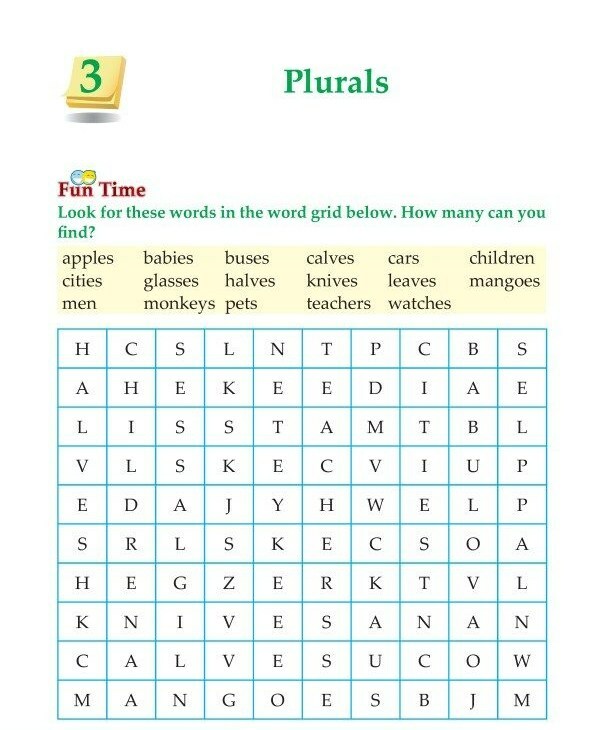 What are plural nouns? Can we change singular nouns to plural nouns? 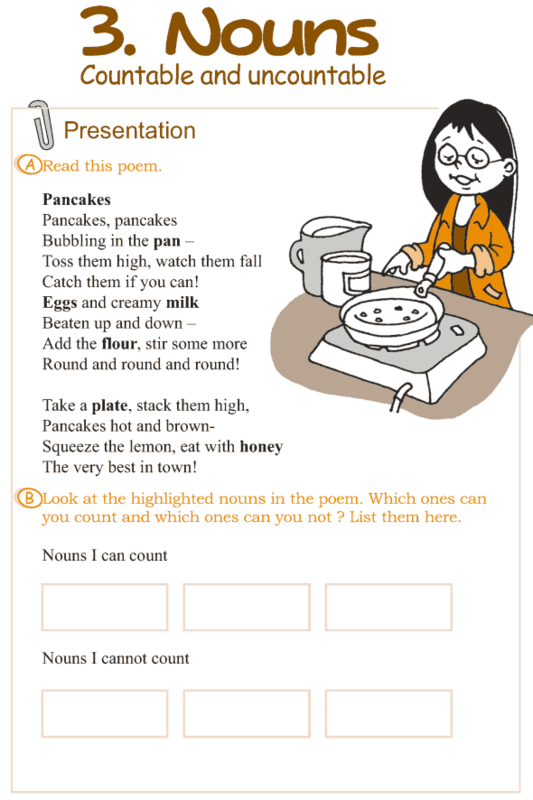 What are countable nouns? 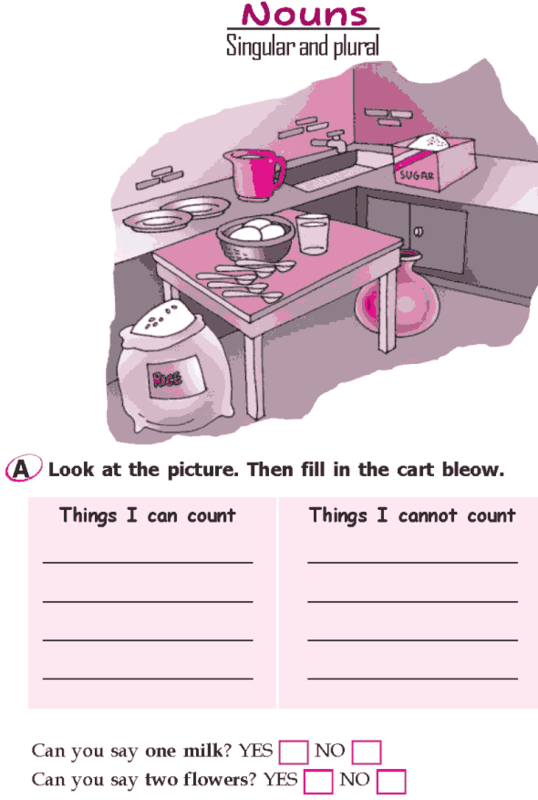 What are uncountable nouns? 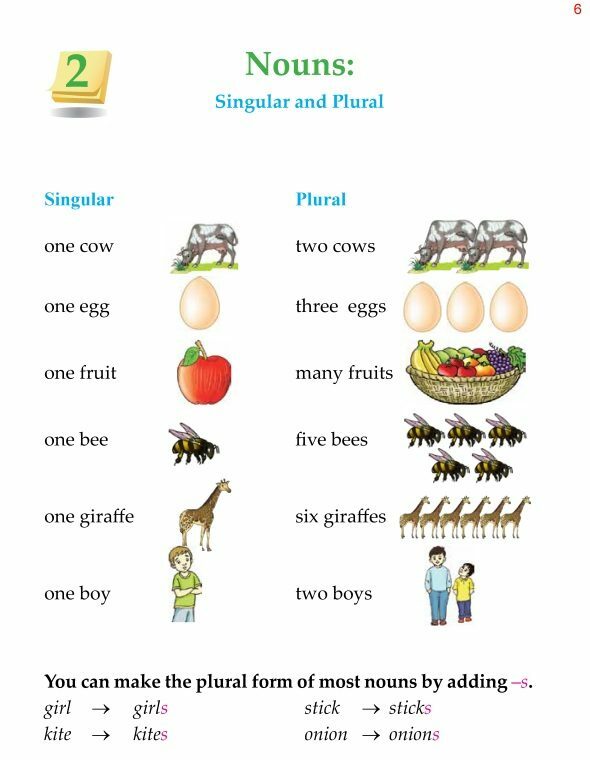 Can uncountable nouns have their plural forms? 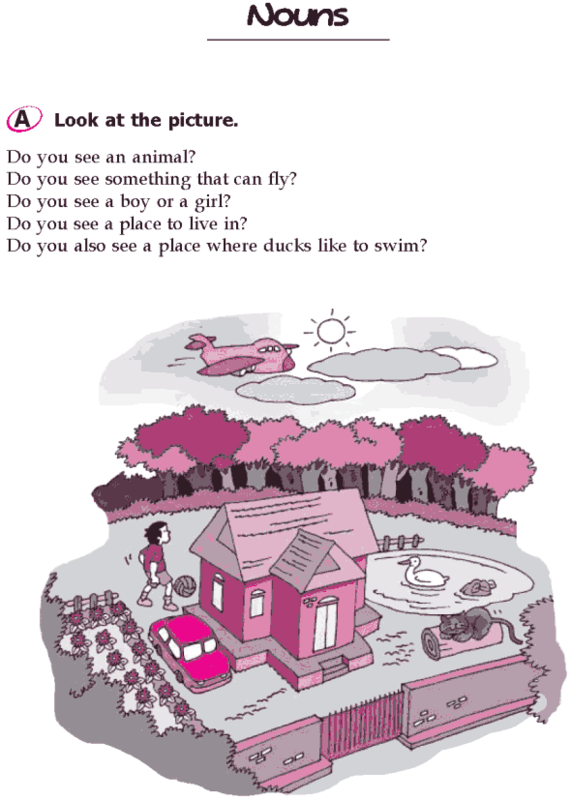 Can the articles ‘a’ and ‘an’ be used before the uncountable nouns? What are proper nouns? Are proper nouns written in small letters or capital letters? Are the names of days also proper nouns? 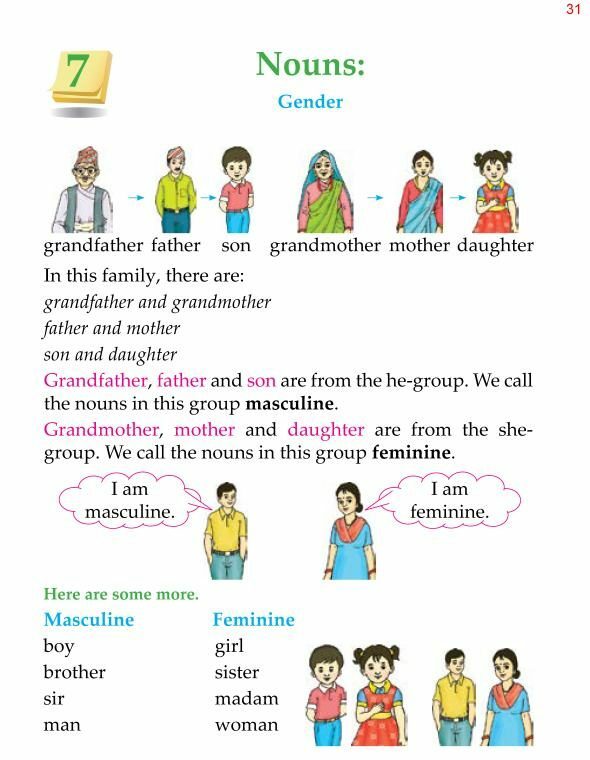 How many types of nouns are there on the basis of gender? What are some examples of male nouns? 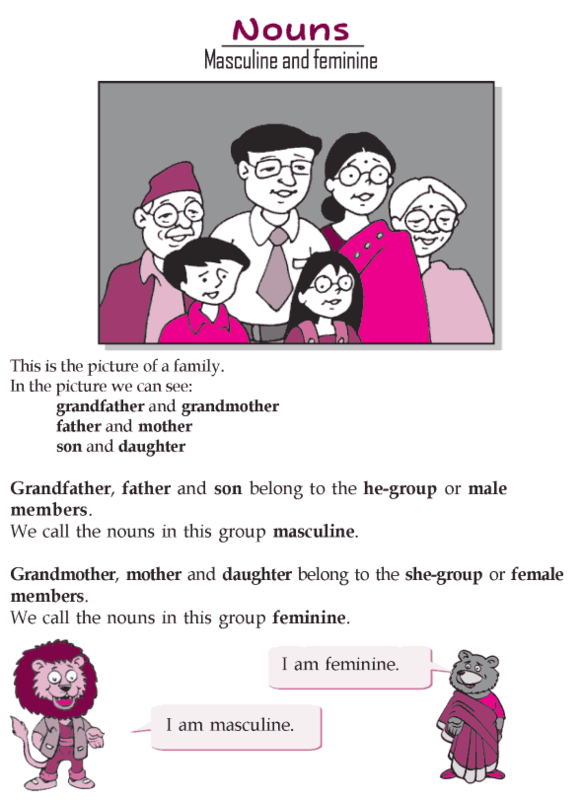 What are some examples of female nouns? A naming word is also called a noun. Girl is a common naming word. There are common naming words for people, places, animals and things. 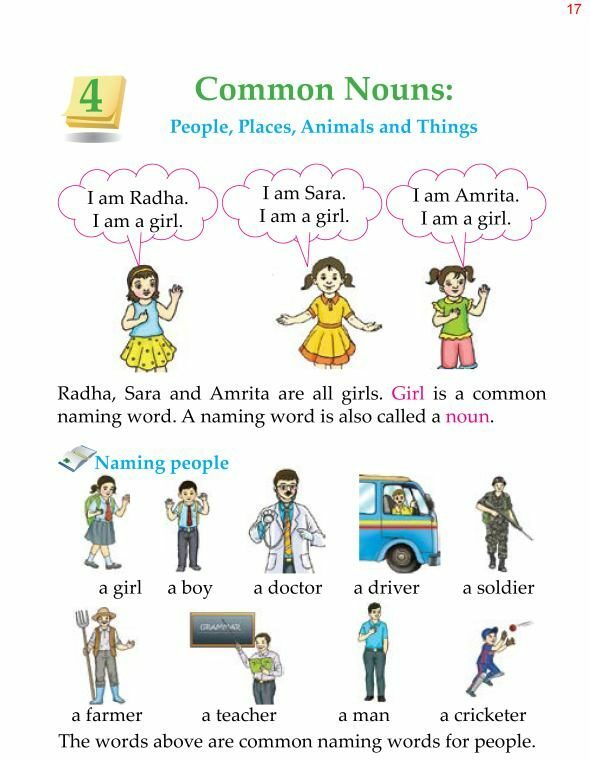 Look at the pictures below and learn all the common nouns. Words like pets, foxes, buses, temples and men are the plural forms of nouns. They mean more than one in number. Learn the plurals of some common words.